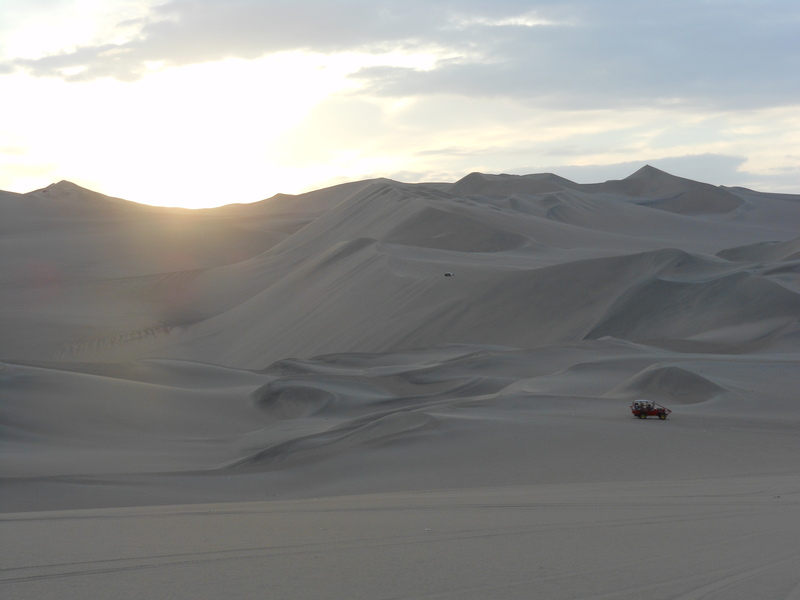 I have written before about our family’s trip to Laguna Huacachina (see here and here), but I have only mentioned the sand dunes. As the name of the place implies, there is an actual body of water here (a lagoon, if you will). This is oasis is so well-known throughout Peru that it is emblazoned on the back of the country’s fifty nuevo sol bill. I realize I have been remiss in this space in that I have not yet shared with you all a picture of the actual water that gives this place its name. 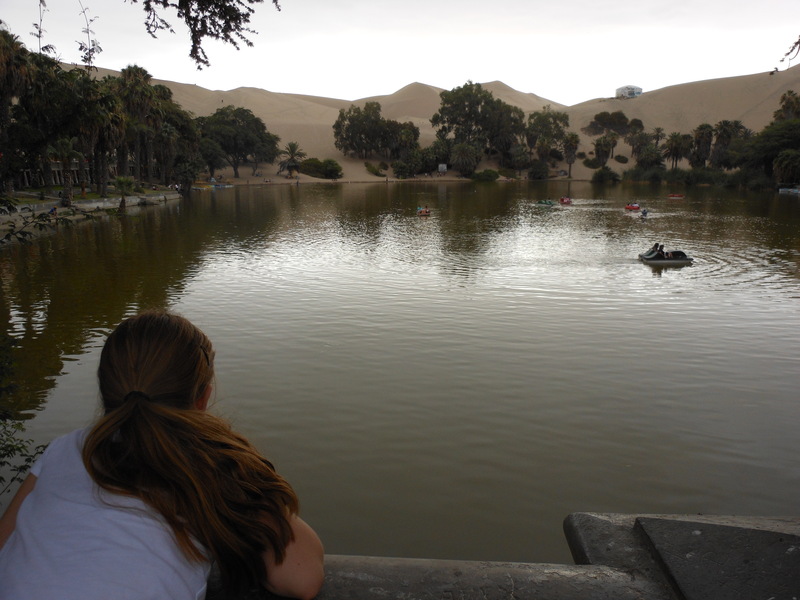 In honor of this week’s theme of “reflected” from Photo Friday, I offer up Laguna Huacachina. Last night, our cable system ceased to operate. A helpful message appears on our television screen telling us to dial a certain phone number for assistance. Since my lovely wife has better Spanish skills than I have, she took the phone and called for help. “Press 1 if you would like to continue this call in Spanish. According to this website, Japanese immigrants began coming to Peru in the latter part of the nineteenth century. Through this blog, I receive mail and comments and I am grateful for any and all communication sent to me by readers. With that said, no one has ever written in to ask about the status of the house that is being built across the street from where I live. I began tracking this domicile in December of last year when it was only rebar sticking out of the ground. 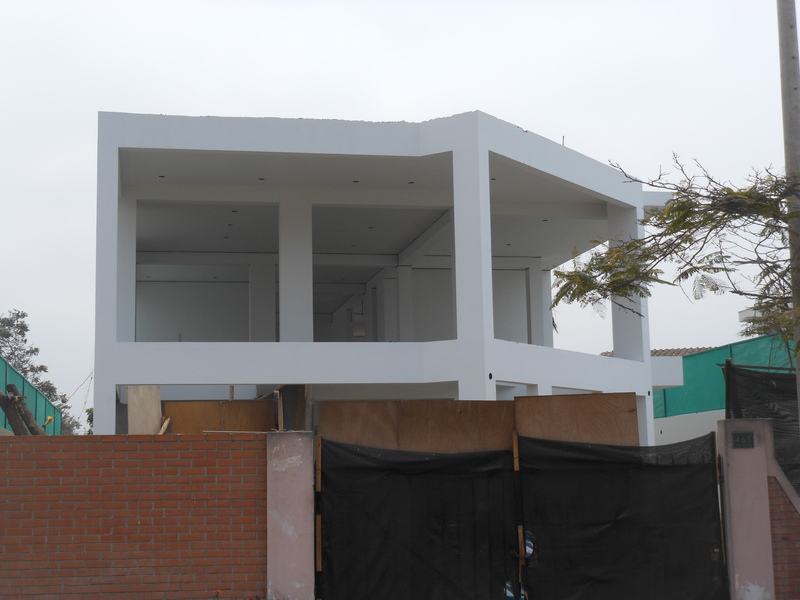 Three months later, the building was two floors of poured cement supported by wood. 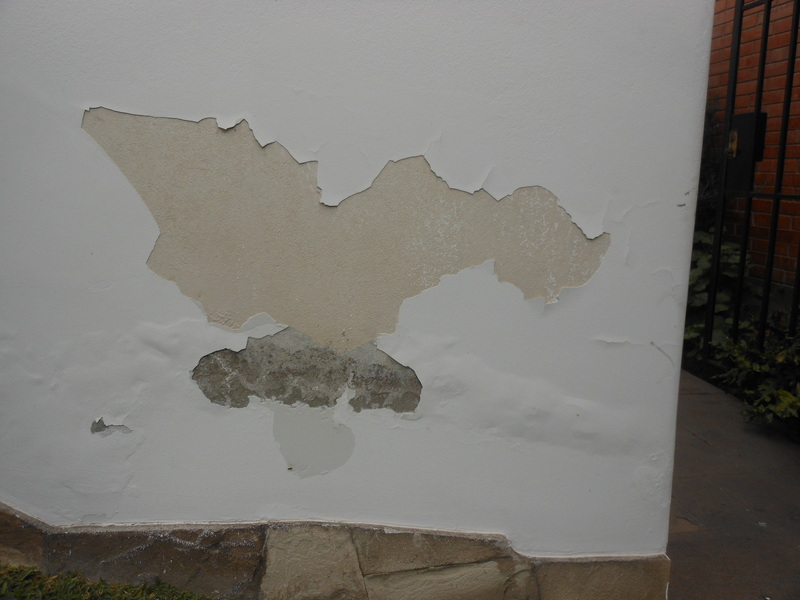 In May of this year, the wood was removed, but the gray of the cement remained. You can see my original photos here. Today, nine months after I started snapping photos, the shell of the home now was a coat of white. 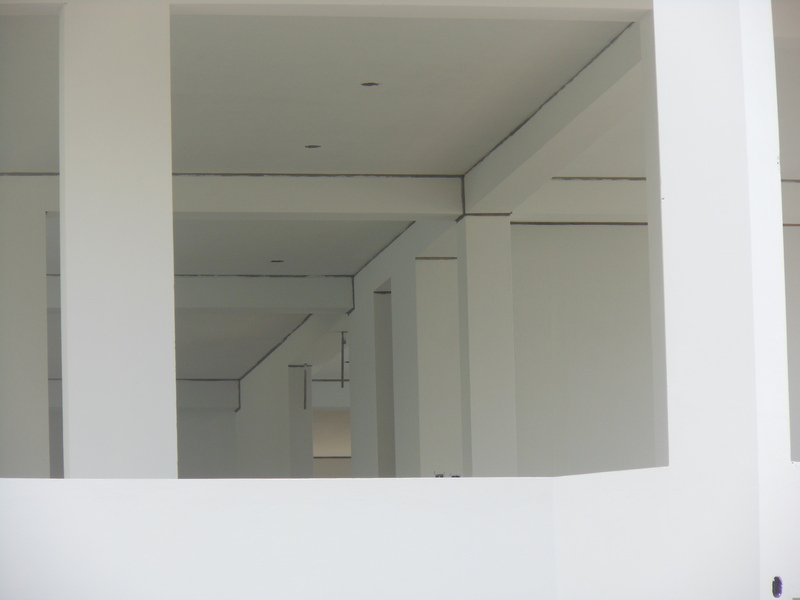 With that coat of white now attached to the walls, the salitre clock starts on this structure. For this springtime Sunday in our neighborhood around Lima, Peru, the family and I once partook of the Saludable Carretera (Healthy Road) where the district officials close down the street to car traffic so that pedestrians and bicyclists can enjoy the wonderful weather. Along the road are stands and kiosks manned by local companies to drum up business. 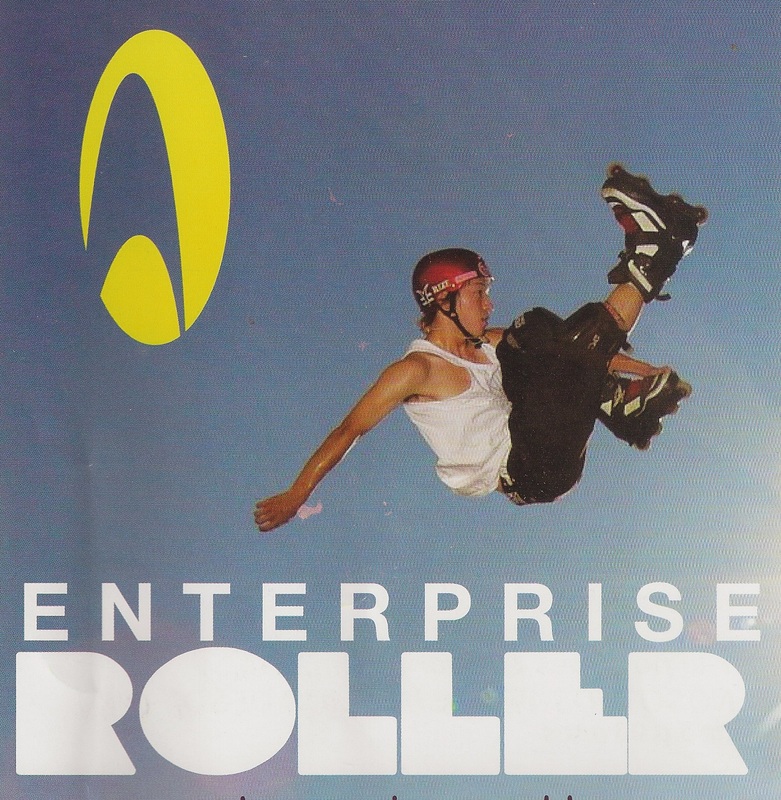 One of those enterprising organizations is a roller skating shop. This makes perfect sense for them as they can rent out their wares to people so they can try on their skates and roll around the street. What caught my eye about one of these skate companies in particular was not just their name, but their logo. To my knowledge, “Enterprise” is not a Spanish word so where did this company name come from. Well, “Enterprise” is the name of the starship in the television show Star Trek (and some its spin-offs such as Star Trek: The Next Generation and Enterprise) and that program featuring the characters of Kirk, Spock, and Scotty is quite popular (so I’m told) here in Peru. So, I guess it’s not that large of a leap to think that the company, Enterprise Roller, would take the name of the craft with the designation NCC-1701. However, when does a tip of the hat to a television franchise become plagiarism? 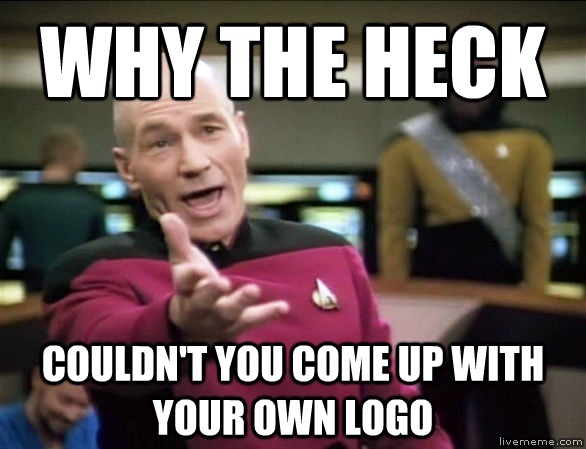 It’s one thing to take the name of Enterprise (I doubt anyone thinks Enterprise Rent-a-Car is ripping off the creation of Gene Roddenberry), but what about a copying logos? Side by side, let me show you the logo of Star Trek’s Starfleet Command and the logo of Enterprise Roller. What would Apple and Samsung say about this? Solitary is the theme this week from WordPress for their photo challenge. At first, I wanted to reprise this photo because I think it quite suits the theme, but I had already used it for a previous WordPress challenge. But go ahead and take a look anyway…I think it’s still quite lovely. For my answer to this week’s challenge, I offer up the following vast sandy landscape where a person can follow their own solitary pursuit whether it be dune buggies, sandboarding, or simple contemplation. These are the dunes of Laguna Huacachina. It’s big, it’s sandy, it’s beautiful, and while you are out there, you feel like the only people on the planet. The vernal equinox is coming to the Southern Hemisphere and with it comes the end of winter. Winter in Lima means cold and cold means all manner of ill things including ill health. As it is still winter here in our abode twelve degrees south of the Equator, residents are still concerned about their well-being as the mercury hovers around the icy region of the mid-60s. To help the citizens of Lima combat colds, sniffles, and other assorted maladies, they can actually buy tissue (and brand-name tissue at that) from the convenience of their car. 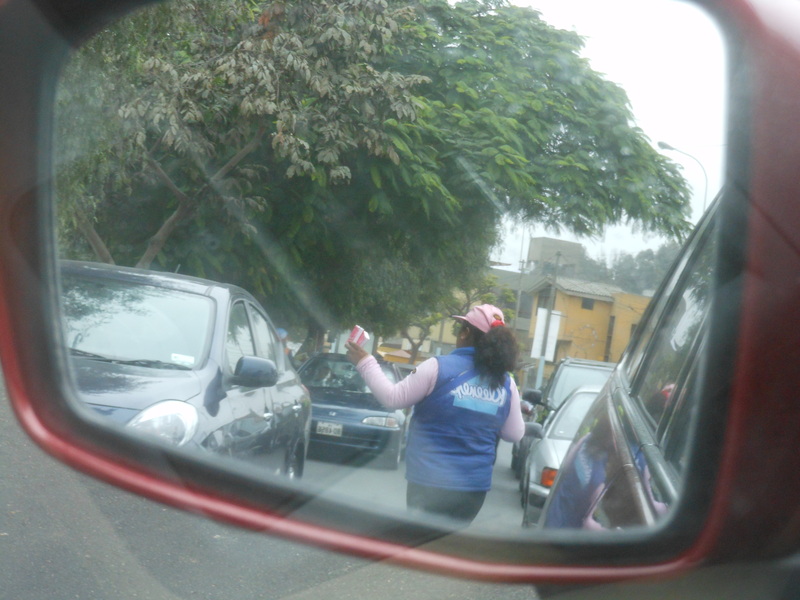 So, while waiting for the numbers to count down on the stoplight, I can – for about two nuevo soles – buy a pack of Kleenex from the pink-and-blue clad vendors wending their way through the stopped cars. In addition to the occasional social unrest, unique driving situations, and struggles with language, there is another item I have to contend with while living abroad that never crossed my mind while I was in the States. In the United States, I never had to worry about currency rates before. When I lived in the Lower 48, and with apologies to Gertrude Stein, a dollar is a dollar is a dollar is a dollar. Here, in Peru (as in most other non-USA countries), however things are quite different. The currency of this country is the nuevo sol (which I have written about before), which has the symbol, S/. My financial education has been broadened to include the fact that the value of a dollar, in relation to the nuevo sol, fluctuates. When the change is small or falls within a small range, this is not that large of a problem. However, as the chart below shows, the value of the dollar has fallen sharply since we arrived. When we arrived (circa August 1, 2011) the exchange rate was S/. 2.7111 per 1$. Now, one greenback nets S/. 2.586…the lowest it has been since 1996. 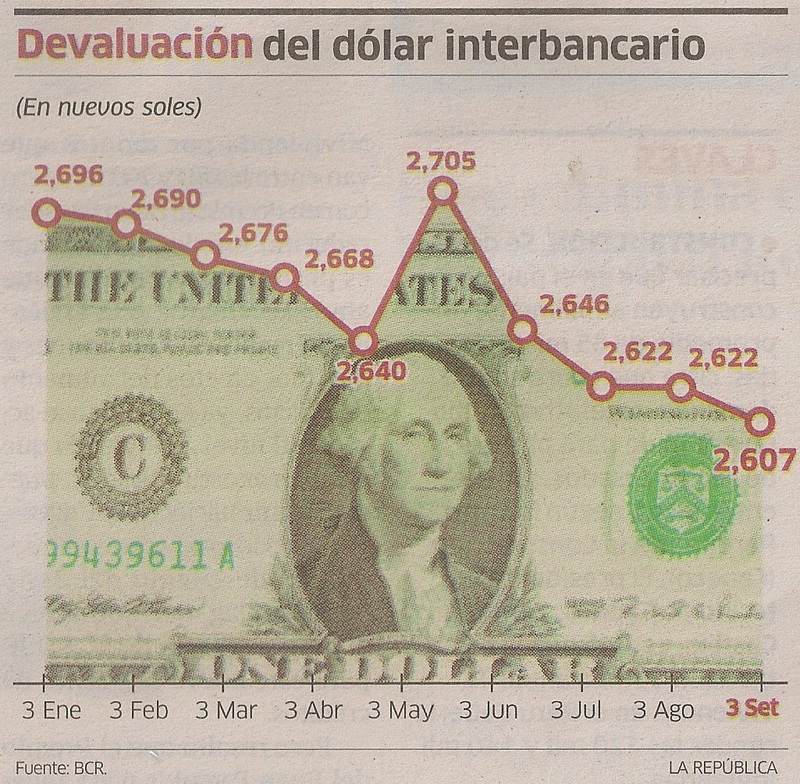 The result of this decline is that when we exchange dollars for nuevo soles, we receive less of the Peruvian notes for the same amount of Washingtons, Lincolns, and Hamiltons. At the moment, if rates continue as they go, our purchasing power will continue to erode. There’s a phrase I thought I would never write. So, why do rates go up and down? As the old Econ101 adage goes, the answer is “supply and demand“. Well, we could always move to Ecuador where they now use the US dollar. The nice thing about this week’s theme from WordPress, “everyday life“, is that any picture will do because any picture can be about everyday life. Around the globe, every day revolves around work in one fashion or another, and Peru is no exception. 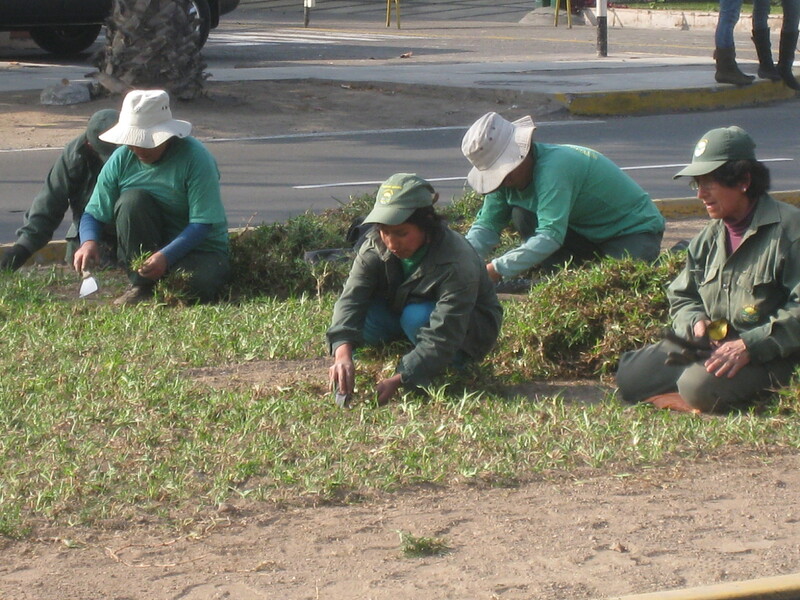 My answer to this week’s challenge shows a group of municipal workers planting – by hand – grass on a traffic island on a busy street near Lima, Peru. They will spend the larger part of two weeks on their knees doing this job working their way down this particular median. Then they will hop on over to the next traffic island and continue. All the while, they are on their knees, breathing in exhaust from the multitude of taxis and combis, and only taking the noontime hour for lunch (which they enjoy on the same patch of land that they have been working on). Come the next beginning of Spring (which in the Southern Hemisphere is September), they will do it all over again. I have decided to try a new “weekly photo challenge” website and my latest offering comes from the enjoyable blog Where’s My Backpack? For this Friday, the theme of the week is texture. For my answer, I will be going back to a post I did earlier this week where I wrote about a McDonald’s being built. Six months ago, before this locale would be in the fabrication stage, the previous structure needed to be demolished. In March of this year, while the building was in the midst of slowly being demolished, I took this picture which I believe shows off the fine texture of brick. 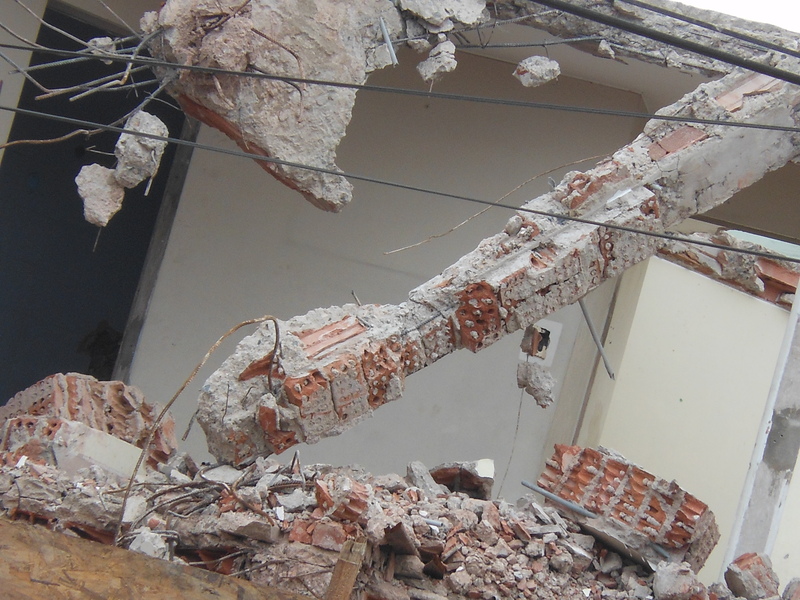 I might have another post on this subject, but buildings in Peru do not go up quickly. They take a good deal of time. In case, you’re wondering about the caption to this picture, you can jump to here…and enjoy another Phineas and Ferb reference (I do so like that show).